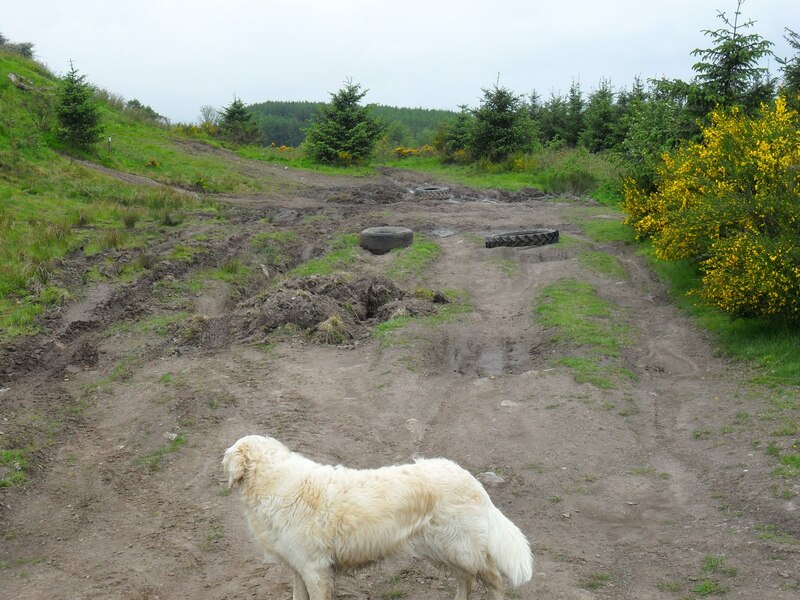 I have scattered old tractor tyres in selected places around the site to make drivers use a slightly different track, this helps prevent erosion and allows some vegetation to grow. Please leave them where they are for now. 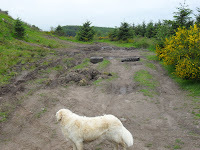 Pic is of our Simba looking at the tyres, I think or perhaps it's a rabbit! 5 new Club members this month with Suzuki's, a Cherokee and 110's. Plenty of water still on site but we are needing a bit of rain to make it slippery again. We have, as usual, a lot of people redeeming Christmas Gift Vouchers at this time of year and are now fully booked at weekends until the 16th July for anyone reading this and still wanting to book. Roll on summer, Walter. Picture is of our instructor Ken Swan training drivers on Mule ATV's for a hydro power tunnelling project in the north of Scotland. 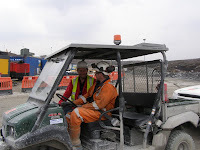 The ATV's are mainly used to take the blasting crews to the mining face down a steeply inclined tunnel, exciting stuff! We have also been training their crews to drive the access road in 4x4 vehicles, the first time I went up to the site in Feb 2010 the snow was deeper than the height of the Land Rover and it has been pretty bad at times this year. They will be very glad to see the summer arrive up there. We are always happy to go to where the customer needs us.